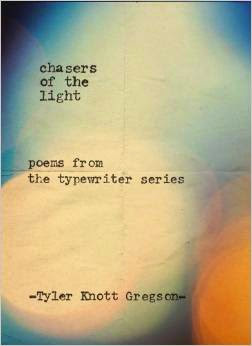 CHASERS OF THE LIGHT: Poems from the Typewriter Series (Perigee/Penguin Random House; on-sale September 2, 2014) by Tyler Knott Gregson. Photographer and poet Gregson has been called “The Ryan Gosling of Poetry.” He has over 220,000 Tumblr followers (link) and 165,000 Instagram (link) followers. But before growing to this level of social media renown, he simply walked into an antiques store in Helena, Montana, and bought an old Remington typewriter, using it to type a poem right there in the store on a page from a broken book he’d purchased for $2. Gregson has been typing poems ever since, and they’re now collected in CHASERS OF THE LIGHT: Poems from the Typewriter Series (Perigee paper-over-board; on-sale September 2, 2014). His poetry blends the simplicity of form and the depth of emotion, just as he combines the old typewriter with new online platforms to create his art. Gregson is truly a poet of the digital age. Drawing on his skills as a photographer and writer, Gregson aims to “express inside things in an outside way.” Being a poet allows him to become a “memory keeper…a trapper of time…a stealer of stolen glances…a thief of buried fears.” Gregson has described the experience as chasing the light visible to him, and CHASERS OF THE LIGHT is the map of his wanderings and his invitation to readers to join him on his journey. All pre-orders placed before September 2 will come with a signed bookplate by the author, and the author will donate a share of the pre-order proceeds to To Write Love on Her Arms charity (link). I opened the beautifully covered book and thought, let me just give it a glance and read it this week. After reading the first three lines of the first poem I was completely done in and sat and read this book while my family lived around me. When I finally got up from the couch I wanted to kiss the book and place it somewhere, not just toss it into a ready to pass on pile. Tyler writes the words that everyone wants to read. There is not a man or woman who wouldn't want to know that one of his poems was written for them and them alone. His eloquent writing steals your breath and shudders your heart until you are completely and thoroughly in love with him. I plan on revisiting my old writing, perhaps even taking out my old typewriter and maybe hitting a few keys. Thanks for the beautiful inspiration Tyler. 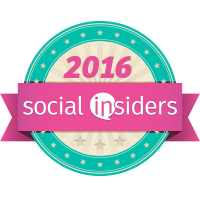 Discloser: I received a complimentary copy for my honest opinion. No monetary compensation was received. I read a lot but I haven't read poetry in a long time—perhaps I'll pick up a copy of this book! I enjoy reading poetry and always have felt that way. What an interesting new poet he is!